You may have noticed it: the first Pantagrame game is online! It contains three succeeding zones, The streets, The roofs, and Belowground. Join our colorful hero and discover the city of Nelphis in the early morning. Will you be good enough to reach the museum? Do you feel SATANIK enough to obtain all the hidden items? Numerous other mini-games are planned, to intersect with the webcomic adventure. Interactive sequences filled with secrets. And about secrets… There’s something big somewhere in this Level 1; I wonder if you’ll manage to find it? More good news. 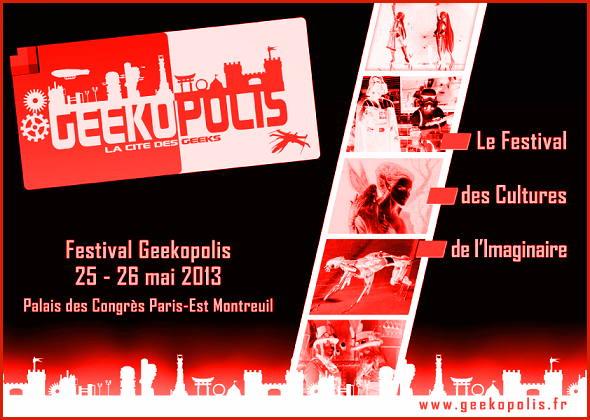 The project will be shown at the Geekopolis convention this weekend. It will appear on-screen, in the Crash System booth (the CS staff is gracefully offering some “broadcast time” to Pantagrame). Crash System is an amateur movie team I’m lucky enough to be part of since almost ten years. If you speak French, look at their videos (such as Love, Glory and Cosplay): works you cannot forget, even with some therapy and other professional help! Of course, your friend Raphaël will be there too, since I’m part of both Crash System and Pantagrame. The location: The Palais des Congrès at Paris-Est Montreuil, 128 Rue de Paris. By subway, find the Robespierre station (subway line 9). More details here. The time: 25 and 26, May, 2013. For Parisian residents or visitors of the capital, don’t hesitate!